This 60 Celica belongs to Kumachan, the owner of the workshop “Naughty Bear” down in Gifu. This S14 belongs to Ohana from Team Magician. It returned to the pits at Nikko Circuit with an extremely lumpily-running engine and wafts of smoke coming from under the bonnet. 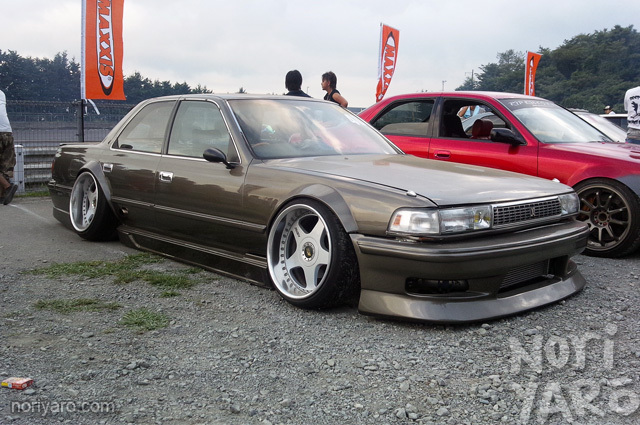 I saw this X81 Cresta at the recent 1JZ Meeting. It wasn’t just in the static class either. 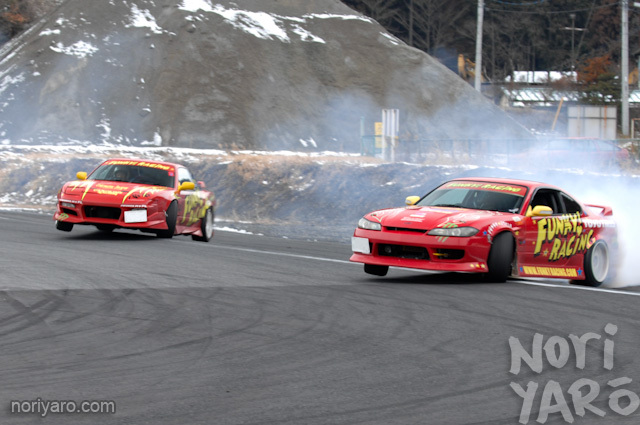 The owner actually drifted it! Before you ask, no, I don’t have pics of that. Me at Nikko Circuit in the Mark II a while ago. Me at Ebisu Circuit in the Skyline a few weeks ago. Jesse Streeter at Meihan by Laurence Janus. Volume and sanity warning on this one. This is Mr Lavender’s garage. He’s a crazy drifter and is also quite mad for KE70s. Here’s another shaky video I shot at the 86 Style event at Fuji Speedway a little while ago. I think 150 was the official number of cars in the parade run, led by Keiichi Tsuchiya in his personal Trueno. 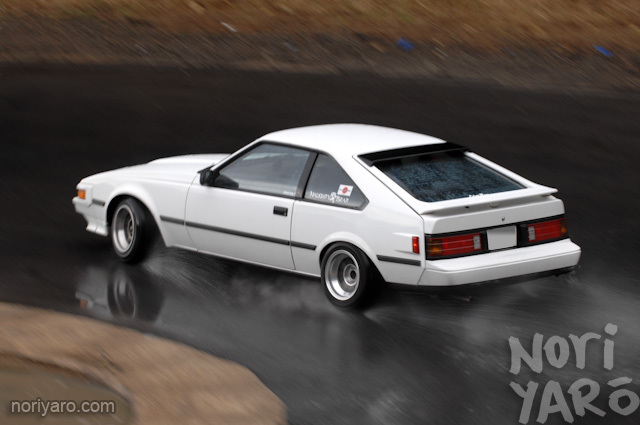 Combined with the cars seen over in the static display, this was an amazing event for any AE86 or 86 fan to visit. If you’d like to visit it, plan a trip to Japan around the 6th of August next year! I heard from the Managing Director of Fuji Speedway himself that there’s going to be more of these. Posts have been a bit lacking recently, and since I’ve taken a short trip back to Australia, new posts might get even more sparse until early next month when I get back to Japan. I’m still doing plenty of car-related stuff though, such as attending last weekend’s World Time Attack Challenge at Eastern Creek Raceway/Sydney Motorsport Park, where I was helping out Team Orange. 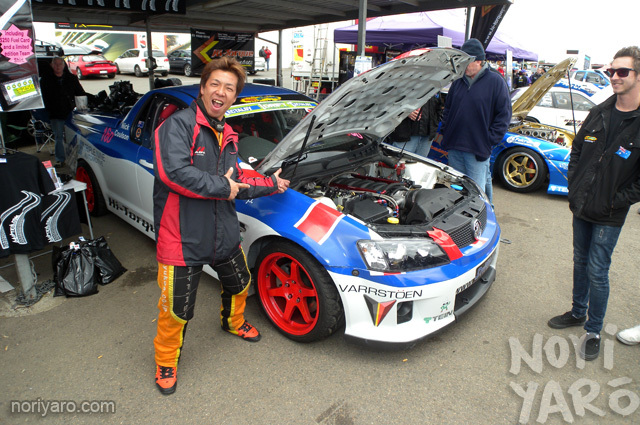 Here’s a pic of Orange’s Naoto Suenaga admiring a Holden ute. Could he possibly be thinking of building up one of these back home at Ebisu Circuit? 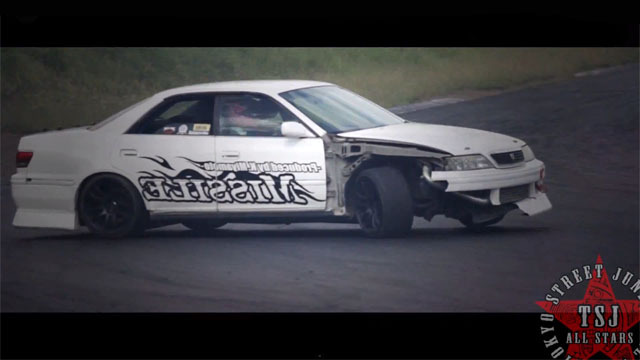 Suenaga also managed to take out the drifting competition at the WTAC event, so it would be good to see Team Orange attend next year’s event as well, if possible. Until posting regularity starts to build up again a bit, why not try going back through some of the Noriyaro archives in the meantime? Click on the “previous month” tab and pick an old one at random.